I feel like this trend is going to be here for awhile, so I'm finally going to chime in about it! I thought this one was a temporary fad that was going to fade in a couple months, but I'm so happy I get to actually post about it, because I see it sticking around for awhile! 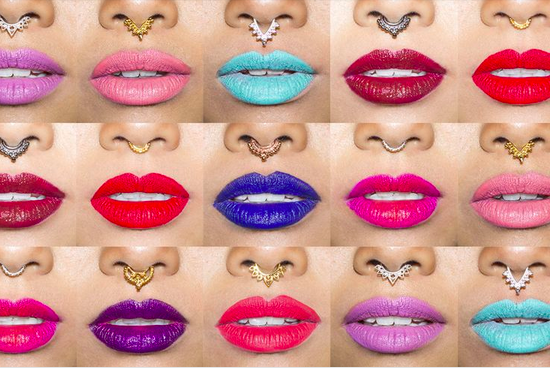 Yes, I'm talking about the beautiful Septum Jewelry Clicker Rings! I can't even begin to explain how beautiful I find this jewelry! The first times I saw these rings, I was fascinated to say the least. Some of them look like little nose chandeliers, and it gets me every damn time. I also feel like they look regal as hell, and can make anyone look like a queen. I have my septum pierced, but I have to be very particular about what jewelry I wear in my septum, because if it hangs too low, it'll interfere with my philtrum lip piercing! Until I find one I like, that I feel like will look fine with my other piercings, I'll just admire all of the beautiful people I see wearing them! Some of my favorite fashion icons like Rihanna, FKA Twigs, Zoe Kravitz, Lady Gaga, and so many more have all been spotted rocking this look, and wearing it all too well. 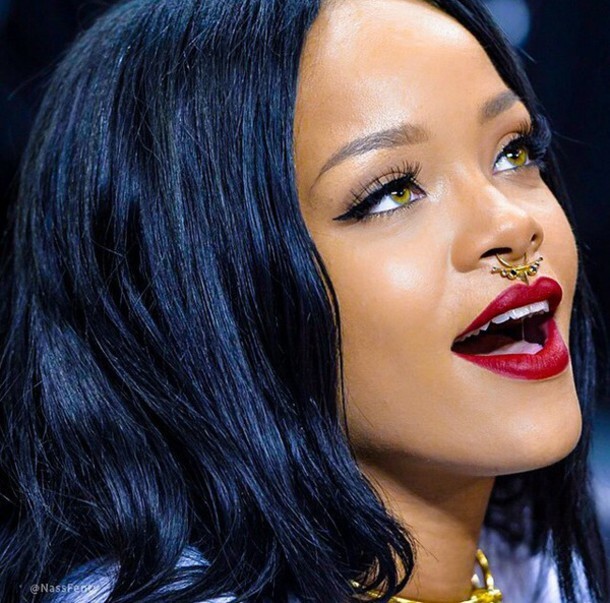 If you like the look, but are squeamish about piercings, and needles, or you're not sure about the commitment of getting the piercing, NO FEAR. There are just as many faux septum clickers, as there are actual septum clicker rings (maybe even more faux ones, than pierced ones honestly..) So if you just want to try it out, you have plenty of options! Some of my favorite shops that have these rings are the LA based Handmade Jewelry Company, VIDAKUSH and UK based shoe and accessory company LAMODA! I've ordered one from Vidakush before, as a gift to a friend and when it came in, I was so pleased with how gorgeous, and well made it was! Also, you can find tons and tons of them on Etsy, and Amazon! If you're not sure about spending the money on a clicker online, and want to see some in person, head over to your local, reputable piercer at a tattoo and piercing shop, and take a look at the selection they may have. Since this trend is so big right now, more and more shops are beginning to carry these!